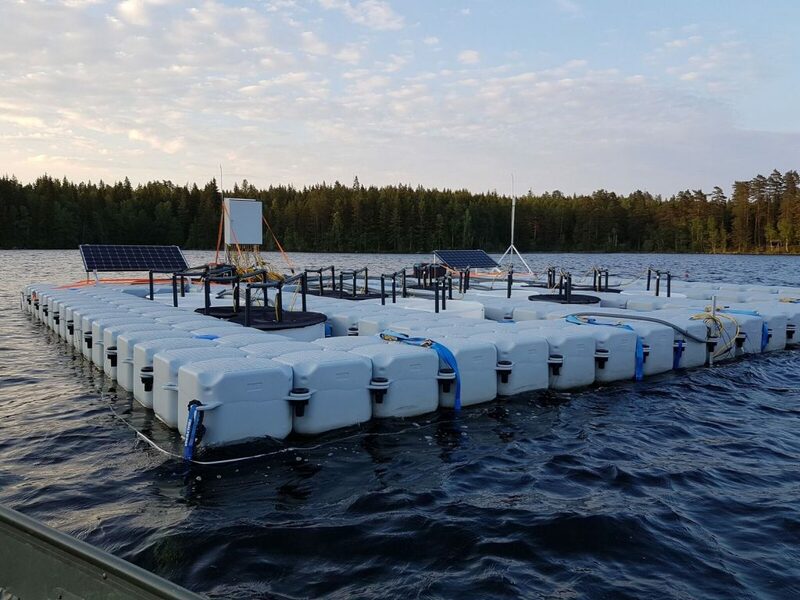 Outdoor, freshwater, deployed in an adaptable jetfloat, placed in the lake Feresjön, 2,5 km from the research station. PE-film enclosures or 20 hardshell PE enclosures (ø = 0.9 m, depth = 1.5 m, volume = 700 l). Advanced general understanding in ecology by using modularized experiments across SITES-AquaNet stations (Sweden) or potential collaborators (Sweden, Europe and other continents). Topics: biodiversity-functioning-stability relationships, community ecology, ecological stoichiometry, food web interactions, benthic-pelagic dynamics, biochemistry (carbon cycling), cyanobacterial blooms and global change research. 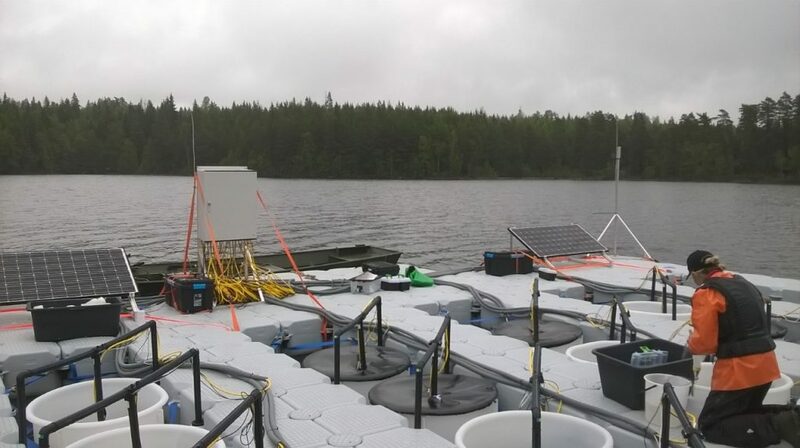 Possibility to combine mechanistic experiments with lake monitoring data from Feresjön (e.g., phytoplankton, zooplankton, nutrients and on-site climate data, incl. temperature profile measurements). An YSI ProODO instrument (DO) (https://www.ysi.com/proodo), an AP-2000 AquaRead Multiprobe (http://www.aquaread.com/portofolio/ap-2000/) equipped with a chlorophyll a sensor, and an Apogee MQ-500 (PAR) sensor with handheld meters. Laboratory for filtering and extraction of samples for a wide range of analyses, cold storage and freezing rooms are available at the research station. Connection to laboratories for analysis at the Swedish University of Agricultural Sc. ; the Geochemical laboratory (https://www.slu.se/en/departments/aquatic-sciences-assessment/laboratories/vattenlabb2/), and at the Uppsala University; the Erken Laboratory (http://www.ieg.uu.se/erken-laboratory).